Firestone Walker Mocha Merlin is back in Paso Robles, California based brewery’s lineup again for fall. In 2014, the brewery released a Velvet Mocha Merlin, an oatmeal stout is infused with coffee beans and cocoa nibs. That beer appeared as a part of The Winter Bundle that year. Assuming the beers are related, Mocha Merlin follows the same creamy, coffee path. The brewery’s can lineup includes DBA, Pale 31, Union Jack IPA, Easy Jack IPA, Pivo Hoppy PIls, Luponic Distortion and new Leo v. Ursus. Firestone Walker Mocha Merlinis available for a second time 12-ounce cans and draft. Terrapin Wake-n-Bake, aka W-n-B, is making a seasonal return to the Athens, Georgia based brewery’s seasonal lineup. This year it is available in cans for the first time. 2016 marks the 12th release of Terrapin Wake-n-Bake, an oatmeal stout brewed with a special blend of coffee from Athens local Jittery Joes Coffee. Black as night, this coffee stout is thick, rich and full of real coffee flavor. Brewed with a special blend of beans from all over the world developed and roasted specifically for Terrapin by our friends at Jittery Joe’s Coffee right here in Athens, GA.
Two years ago, Terrapin invested in a canning line, and has been slowing transition a majority of the lineup from bottles cans. Taste. There is so much coffee and chocolate in the 2016 release. The coffee blend is epic and available year-round. That coffee blend added to such a smooth and rich imperial stout, and you have a beer perfect for drinking alone, adding to food, or pairing with dessert. Terrapin Wake-n-Bake is available in 12 ounce cans and draft across the brewery’s distribution network in November, 2016. 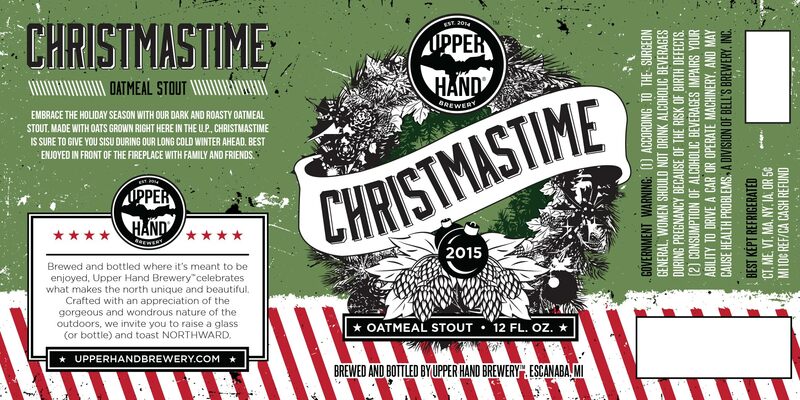 Upper Hand Christmastime 2015 joins the brewery’s lineup in early November. Upper Hand is a division of Bell’s Brewery. Upper Hand Christmastime features Michigan grown oats, for a creamy mouthfeel. Upper Hand Christmastime 2015 is available in 12 ounce bottles and draft throughout Upper Hand’s limited distribution footprint. Burial Beer Co. (Asheville, NC) released Skillet Donut Stout will make a re-return on March 14th, 2015. The oatmeal stout is brewed with molasses and milk sugar, and Counter Culture Coffee. Cold black iron. Never decaying, it is held to the fire to unearth impeccable flavor from whatever it holds. Never biased, it welcomes all ingredients. The Skillet is our most trusted and daring tool of culinary ingenuity. It is the perfect barrier-carrier fro this rich, black ale. This breakfast stout is made from a blend of nine barley malts, a healthy scoop of oats, milk and molasses sugars, and our favorite blend of freshly roasted Counter Culture Coffee beans. Welcome the day with rich cocoa, smooth caramel, dark fruits, and an abundance of diverse coffee aroma unlike no other. Drink your breakfast. Burial Skillet Donut Stout is available in limited quantities on draft, and at the brewery in Asheville, North Carolina. Firestone Walker is now shipping a four bottle bundle that contains Velvet Mocha Merlin. The beer is seasonal offering Velvet Merlin Oatmeal Stout infused with Intelligentsia espresso beans and cocoa nibs. Firestone Walker Velvet Mocha Merlin is only available in the Winter Bundle pack.